Forget the Passat. 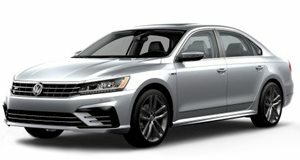 This is the VW sedan you're going to want. Like its CC predecessor, the Volkswagen Arteon four-door coupe will, in fact, go on sale in the US. For a while we were concerned it would remain a Europe-only model, but that would be wrong. has some new details regarding the Arteon’s debut and some basic packaging. First off, the 2019 Arteon will premiere in February at the Chicago Auto Show. It will be identical to the European market version, pictured here, inside and out. Sharing a platform with the Tiguan and Atlas, the Arteon will be positioned as a direct competitor to the likes of the Audi A5 Sportback and BMW 4 Series Coupe. 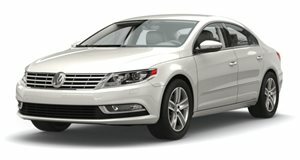 Ironically, the Audi is yet another member of the VW Group family, so think of the Arteon, like the CC, as a so-called “poor man’s Audi.” The Arteon features a rear hatchback that VW claims offers a total of 19.8 cubic feet of cargo space with the rear seats folded up. Right now, there’s only one confirmed powertrain, the turbocharged 2.0-liter four-cylinder with 276 hp, paired to an eight-speed automatic sending power to the front wheels (AWD will be optional). That power output is pretty good considering two things: this is the base engine and the CC’s base engine was just 200 ponies. Expect a starting price of just under $35,000 for the base 2019 Arteon, but the version we really want is the rumored 400-hp VR6, a hot sedan that could compete directly against the new Kia Stinger GT. No toys, no gimmicks, just one of the smoothest drivers south of $40k.